Reliable, robust, and validated data are critical for informed planning, policy development, and investment in the clean energy sector. The Renewable Energy (RE) Data Explorer was developed to support data-driven renewable energy analyses that can inform key renewable energy decisions globally. Data-driven decisions enable ambitious, cost-effective, and achievable outcomes for renewable energy deployment. Policymakers, planners, investors, technicians, universities, and other supporting institutions all rely on renewable energy resource and geographic information system (GIS) data to make meaningful and impactful decisions. These data sets vary in resolution, quality, and usefulness, depending on the application. Renewable energy resource data sets, including wind speed and solar radiation values, can be measured or modeled and will vary in spatial and temporal resolution. In addition to renewable energy resource data, other modeled or measured GIS layers play an important role in decision making. A few examples include land use, weather data, population density, and existing transmission lines. 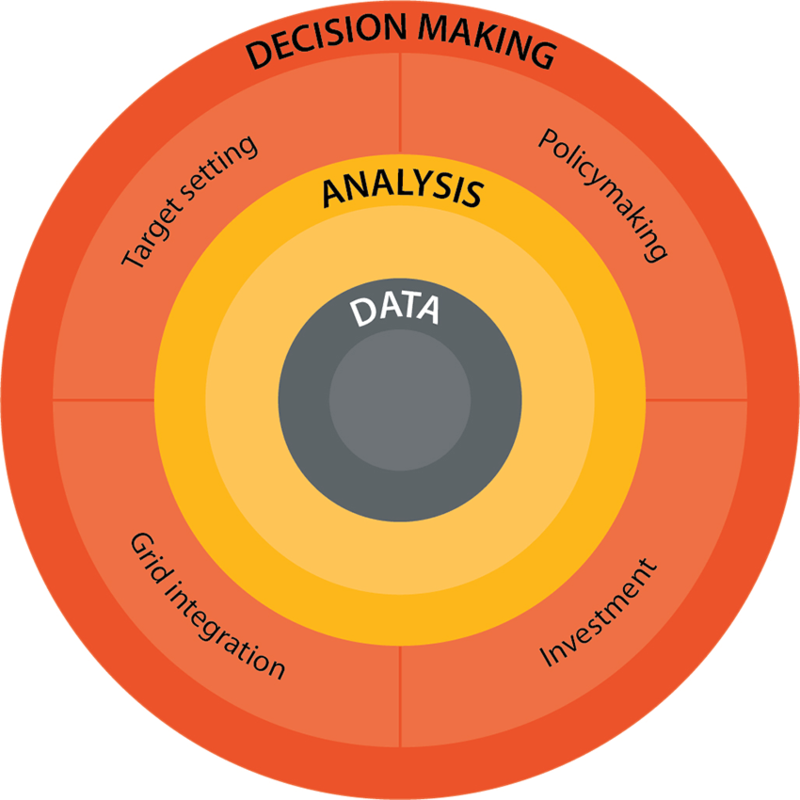 By combining data sets in different ways, decision makers can synthesize new information about renewable energy potential to guide target setting, policymaking, investment, and power sector planning, as presented in the graphic below. Data for Renewable Energy Planning, Policy, and Investment—This fact sheet presents the types of geospatial and other data that are at the core of renewable energy analysis and decision making. Use this resource as a starting point to understand the types of data required to support various renewable energy decisions. Data-analysis-decisions nexus: Data are at the core of renewable energy decision making. With the right data, stakeholders can conduct analyses to support various decisions including target setting, policymaking, power sector planning, and investment. You can find more resources that support informed renewable energy decisions on the Resources & Training page.